Don Mattingly and Ryne Sandberg both became first-time All-Stars in 1984, playing on opposite teams that July at Candlestick Park. 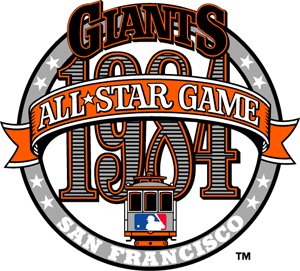 It began a five-year run in which each popular infielder was in the Midsummer Classic, including a classic 13-inning, 2-0 win by the NL in 1987 in Oakland, where both players started and batted second in their respective lineups. 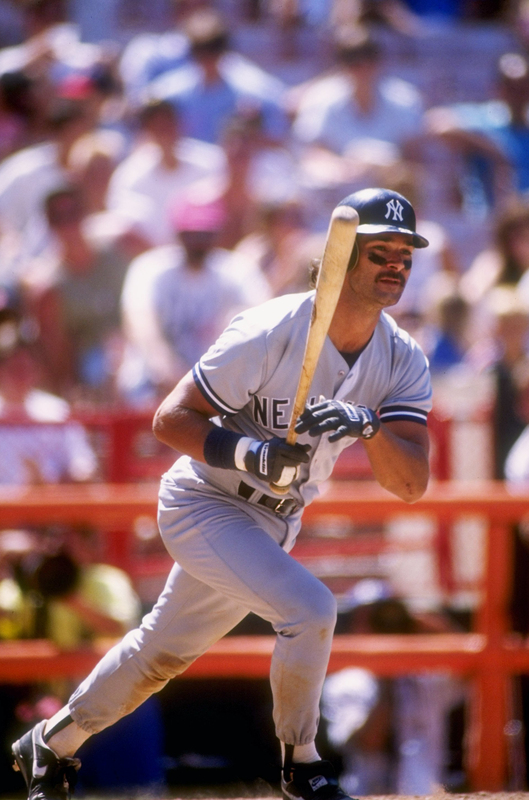 Those were their only meetings back in the day, because Mattingly and the Yankees trained in Fort Lauderdale, Fla., each spring while Sandberg and the Cubs headed for Mesa, Ariz., and there was neither Interleague Play nor a World Series for either man as an active player. Don Mattingly in July 1991 at Anaheim. So here we are now, 23 days away from the Major League Baseball Opening Series on March 22 in Sydney, Australia, and we are going to bring both icons together in our own way. It makes sense for a few reasons. 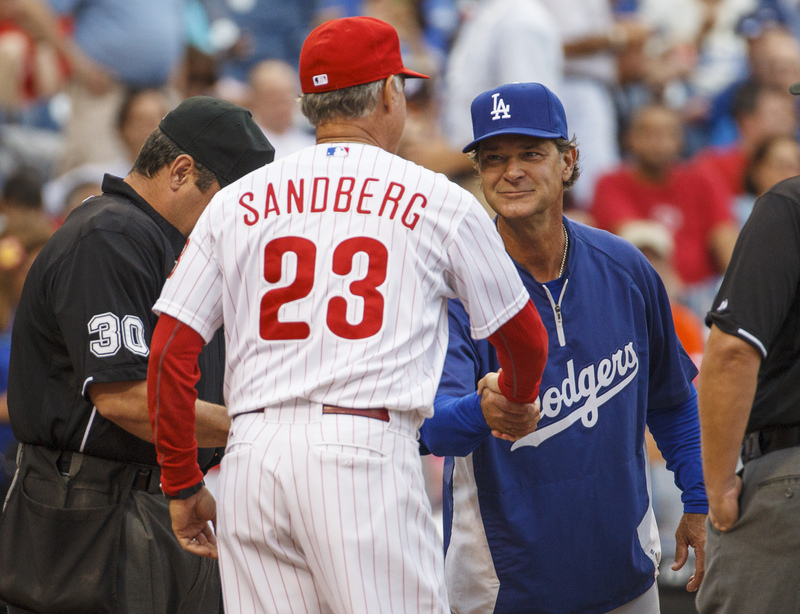 One, they are both now active MLB managers, Mattingly about to manage the Dodgers in that historic Sydney series against the D-backs, and Sandberg in his first spring as Phillies skipper after taking over for Charlie Manuel in the last 42 games (20-22) last season. They will manage against each other for the first time on April 21-24 at Dodger Stadium, neither with the club for whom he was famous as a player. Secondly, they were Opening Day fixtures, autograph-friendly and highly welcomed representations of a new beginning for Yankee and Cub fans when they took the field or appeared in box scores. And for a third reason, and maybe most importantly, they would be together right now in the Hall of Fame if there were poetic justice. Sandberg got there matter-of-factly in 2005, and oh if Mattingly could only have given his speech right before his or right afterwards. 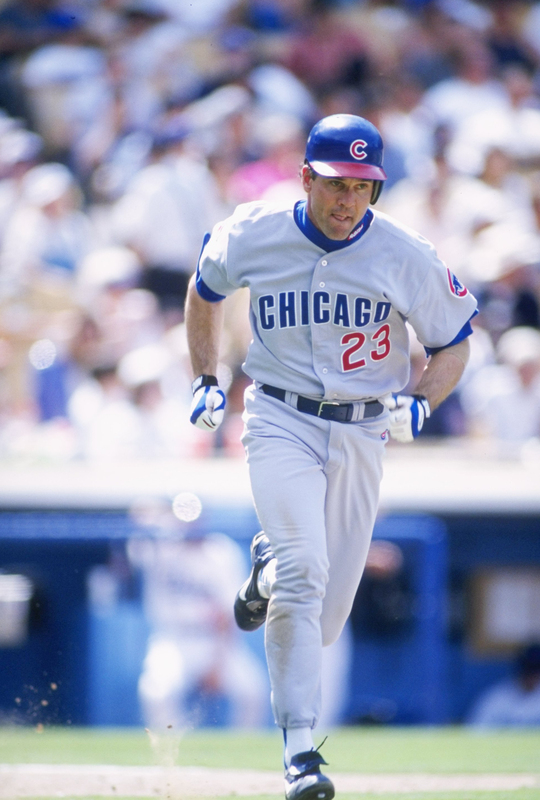 Ryno’s run of consecutive All-Star Games lasted 10 years, double that of Donnie Baseball, whose time as a player was unfortunately cut short by back troubles. They were both Most Valuable Players of their leagues and they both won nine Gold Gloves, providing pop on the other side. They were basically one-club guys the whole way. The sad truth is that for Mattingly, it was just too short a run by the average Hall voter’s standards. But do they belong together in some kind of baseball immortality, if you were a fan of that era? The question is definitely yes. Ryne Sandberg in 1997 at Dodger Stadium. So we’re doing our part here today, as we watch them prepare their NL clubs now, perhaps even to meet this October in a meaningful series. (And yes, they share a league with another No. 23 star-turned-manager, Arizona’s Kirk Gibson, making it almost a fraternity all their own.) For some perspective on just how much Mattingly and Sandberg meant to a generation of fans, long before they were managers, I thought I would ask my MLB.com colleague Gregg Klayman. Now our VP of Product Development here, Klayman is the guy who came up with such fan-favorite ideas as the annual All-Star Final Vote and MLB.com Beat the Streak. He grew up with both stars in a sense, his passion for the No. 23 only slightly divided. “I love the fact that they’re both representing No. 23 in this countdown,” Klayman said. “When I was 12 years old and playing Strat-O-Matic baseball pretty much every single day of my life, they won co-MVPs of my league. They were both on my team that season. The problem was, they both wore 23, and we wrote their uniform numbers on the top of their cards, so one of them had to get 23. Since I was from New York, Mattingly got preference, got to wear 23, and I made Sandberg 19. I’m not really sure why I made him 19, but it was the closest number. I think Mike Schmidt had 20, Dwight Evans had 24, a lot of the numbers near there were taken. So I ended up giving him 19.
Who should be No. 22?